While his eyes never strayed from the cattle he and Preston were taking back to the ranch, Jesse’s body was on autopilot. With the trail to the ranch memorized, his mind whirred, trying to process the information Preston had given him. Preston headed off in the opposite direction and took the cattle from the other side as another ranch hand opened up the gates. Jesse waited until Preston finished trotting around the extent of the corral. Either Preston’s daily check of the corral needed more time today, or he was just taunting Jesse. 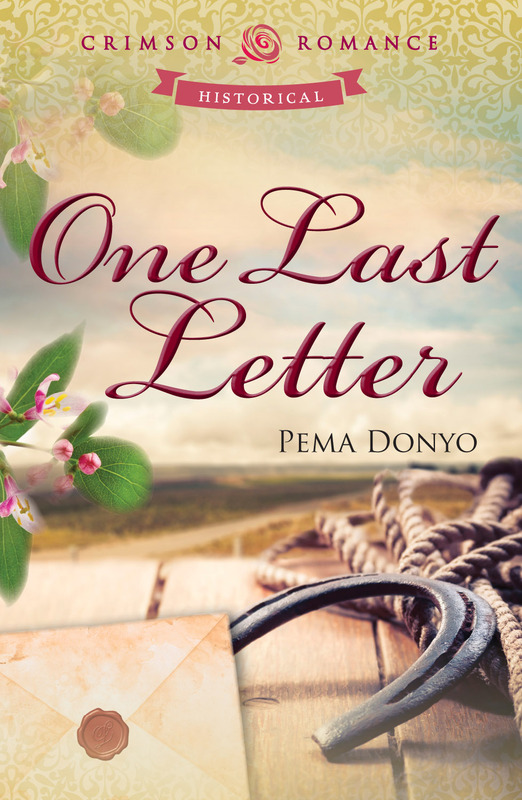 He stepped out of the stirrups and jumped to the ground, his hand drifting to his pocket where the letter lay in the process. When Preston finished, he finally let go of his reins and also dismounted. Preston chuckled. “Heard it from the big bug himself. ‘Make sure Blue Star is ready, Preston.’ That was when I asked. Boss said she’s come back to be married. Heard she’s become real pretty now, too.” Preston took off his beige hat as they stepped out of the stable. Once they reached the house, he stamped his feet on the mat in front of the porch door. A plume of dust flew up from the mat in a cloud, a tribute to the day’s work on the ranch. He brushed off the dirt from his clothes, taking extra care to appear presentable. Jesse took off his black hat and stepped inside. “Not talking about her, Preston. I know who you’re trying to impress.” Preston Dean had been chasing Jesse’s baby sister for the last year, not that Jesse approved. He figured Preston’s interest in her would fade, the way the rest of his friend’s annual infatuations did. Thankfully, Loretta Greenwood hadn’t shown any interest in him, and Jesse planned to keep it that way. The two walked down the hallway of the bunkhouse Mr. Lancaster had provided for his ranch hands. Their heavy footsteps thudded against the wooden flooring. The hallway was empty, and Jesse guessed all the other cowboys were eating at the cookhouse. Beds lined the back of the bunkhouse, each one stacked a level on top of each other to conserve space. The boss hadn’t provided them with much, but a clean bed was all Jesse needed. It had been hard trying to find a job after his parents died; landing a place as a ranch hand had also meant Loretta could work in the kitchen and sleep in the big house, which seemed more than generous to him. He swallowed hard and pulled the letter from his pocket. The folds seemed to ruin it somehow, and he smoothed the paper with care on the nearest table. So she’d returned to be married. His heart knew who she wanted. She’d told him so; she didn’t want to marry anyone else. His heart beat faster, and he felt perspiration begin to gather in the base of his palms. Her father must have come around after all. There was a knock at the door from the back entrance. Too early for the other ranch hands to return from supper. Preston nearly darted forward to answer the door, but Jesse shot him a stern look. If it really was Loretta at the door, he certainly didn’t want Preston greeting her. He set his black hat on the table before he walked over to the doorway. What was she thinking? It really wasn’t proper for his sister to come to the bunkhouse at this time. His voice trailed off once his eyes recognized the figure standing on the other side of the doorway. His eyes widened, and he felt his pulse racing. The girl at the door was definitely not Loretta.